Just a simple really quick sketch. Looks wicked, very good quality but, no canopy?and just a quick sketch??? Yep, took about an hour in total with the coloring and such, not very long. HEAD PROTECTION IS OVERRATED. lol. I really like it, but something about the perspective seems off. Looks great, futuristic and aerodynamic. Want to see this in Le Mans! Really nice! 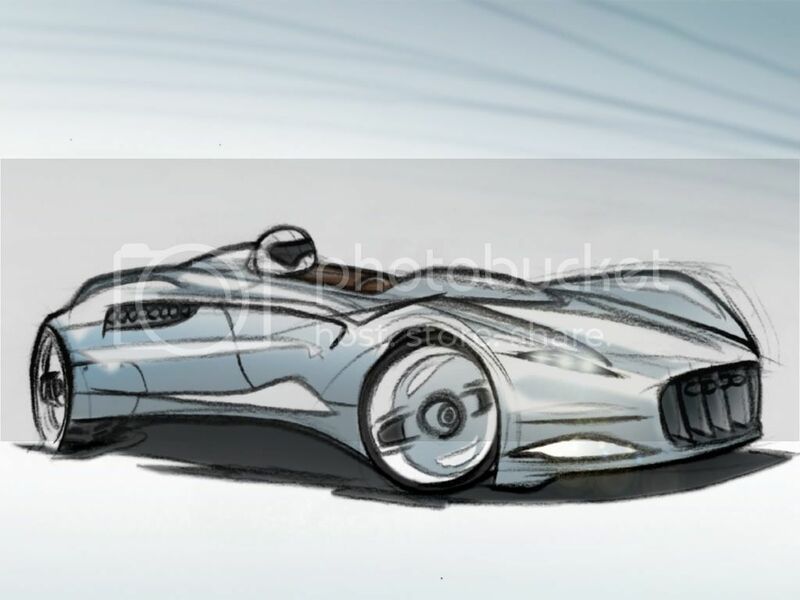 A good futuristic representation of the Classic Auto union racers. The front is the best part. The serated grille is attention grabing and those wheels are realy cool looking. The only problem is the perspective from the driver towards the rear of the car is a little off. cool "quick" sketch man! Just love the side surface treatment and the slatted grille.Really gr8 car!